Plan your Fiesta Bowl trip with a Travel Package or purchase great Fiesta Bowl Tickets to see the 2019 College Football Semi-Final. Sports Traveler's Fiesta Bowl Travel Packages are the best value for vacation planning to attend this College Football Bowl Game. Packages include your choice of game tickets at State Farm Stadium and hotel lodging in the Glendale area within walking distance to the Fiesta Bowl Stadium. Travel to the Fiesta Bowl with these exceptional Fiesta Bowl ticket and hotel travel packages. 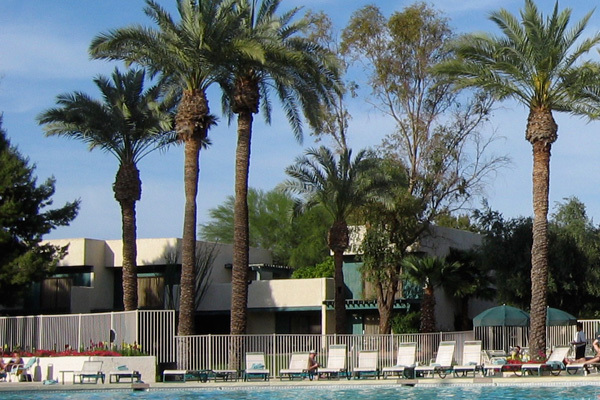 Our tours include Fiesta Bowl game tickets, hotel lodging in the Glendale area, and daily breakfast. These trips are the best value and most affordable type of travel deal for creating your trip to the Fiesta Bowl. The Fiesta Bowl is played every January in Glendale, AZ at State Farm Stadium, formerly University of Phoenix Stadium. The annual tradition of the Fiesta Bowl originally began in 1971, in an attempt to have an automatic bid for the Western Athletic Conference (WAC) Champion. The association between the Fiesta Bowl and the WAC ended in 1978 when Arizona and Arizona State joined the Pacific 10 Conference. Today, with the college football playoff, the Fiesta Bowl will act as a college football semi-final site for the 2016 and 2019 seasons. Be sure to book your trip for the 2018 Fiesta Bowl early to reserve your spot to this College Football Semi-Final. The previous winner of the Fiesta Bowl was the Penn State Nittany Lions who defeated the Washington Huskies 35-28 in 2017. In addition to currently hosting the Fiesta Bowl, State Farm Stadium is also host to the NFL's Arizona Cardinals. The stadium opened its doors in August, 2006. State Farm Stadium is the first in the United States to have a fully retractable natural grass playing surface. An opening at one side of the stadium allows the field to move outside of the stadium, so the entire playing surface is able to receive sunlight when not in use. In addition to the retractable field the stadium also has a retractable roof, providing relief from the desert heat. The stadium has a permanent seating capacity of 63,400 and is expandable to just over 73,000. In the venues short history, it has already played host to one of the biggest sporting events in the world, as it hosted Super Bowl XLIX in 2015.